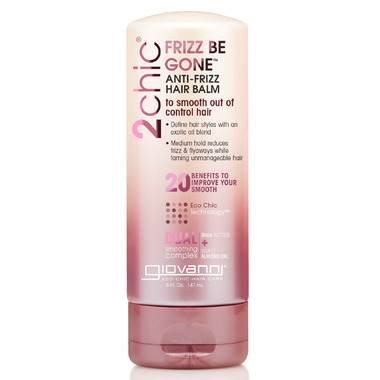 Giovanni 2chic Frizz Be Gone Anti-Frizz Hair Balm is frizz decoded. Improve your smooth with organic essential oils that know how to tame your mane. Caress locks with the smoothing elements of Shea Butter and Almond Oil. Directions: Distribute a small amount on damp or dry hair; use more as desired. Style for a frizz-free, polished and smooth look.